I wanted to put in a quick mention for Tru, the service that offered to send me an international BlackBerry Bold 9700 to use for Mobile Congress Week along with their Tru SIM. The ultimate goal is that we’ll compare what I would have spent on the same amount of Tru usage versus AT&T’s best international rate (since they are my regular carrier) after Mobile World Congress is done. Here’s where it gets even better, though. DHL came through and got the BB Bold to me before I left. 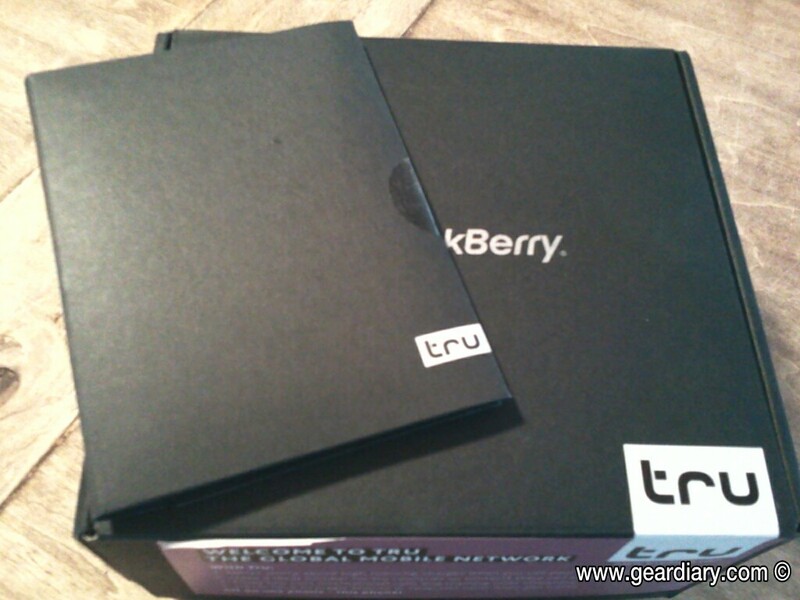 Because Tru was worried that it wouldn’t arrive in time, they also sent a BB Bold via DHL to Helena’s and my hotel in Barcelona. When we arrived, the front desk told me that they had a package waiting … and because Helena was already having international phone issues with her carrier, I offered to ask if Tru minded if Helena used the “spare” Bold and wrote about her own comparison results on ChipChick. I send and receive a ridiculous amount of texting (thousands per month sometimes), as does Helena. That’s why I was more than a bit concerned about what AT&T would charge me per text, even if my data was being mostly relegated to a Spanish SIM I had purchased for that purpose … because after seeing what AT&T charges for international data, I knew that there was simply no way I could afford that option. I also figured it would be unrealistic to think that I wouldn’t call home or that anyone from home wouldn’t want to call me during the week. At $1.00 (or more) a minute, it was obvious that phone calls would need to be kept to a bare minimum. Here’s where Tru really helped out: they gave me a US number that people at home could call without incurring long distance charges, one that I could also use to forward my regular AT&T number to while abroad. Tru offers multiple numbers for different countries all on one smart SIM card. So wherever they are, your Tru users will always be available – on a number that is local to their business contacts. The technology behind Tru is based on a patented multi IMSI SIM card. IMSI stands for International Mobile Subscriber Identity and is pronounced ‘imzee’ – (if you wanted to show off at all). On traditional networks you have one user, one cell phone, one SIM and one IMSI for one number. With our multi IMSI SIM card, one user with one cell phone (and one SIM) can have multiple IMSIs which means local rates in multiple countries! It is thanks to these new technologies that we are able to give our SIM cards multiple numbers, activate the correct local rates when a Tru user lands in a new country and seamlessly add new countries over the air. I am really looking forward to seeing the comparison between Tru and AT&T, because there was a moment where I almost thought it might be “okay” to just use my phone as usual and deal with the international charges once I returned home. Fortunately I pulled my head out of my posterior and realized that would cost me “stupid money”, as we call it in Texas. Tru has placed me on their Elite 1500 for business customer plan, and I will write more about what that entails as well as how much it will have saved me after MWC is done. In the meantime, I am enjoying the fact that I can make and accept calls without worrying and that I can text and email as needed (and as time permits), which is something I definitely couldn’t have done otherwise. Check out how Tru can help you by clicking here.